Matthew Stein handcrafts his Windsor chairs and furniture using traditional methods just as the chairmakers of two centuries ago. Matthew Stein also uses the same wood as the eighteenth century chair maker, white pine for the seat, maple for all the turned parts and white oak for the spindles and bent bow. 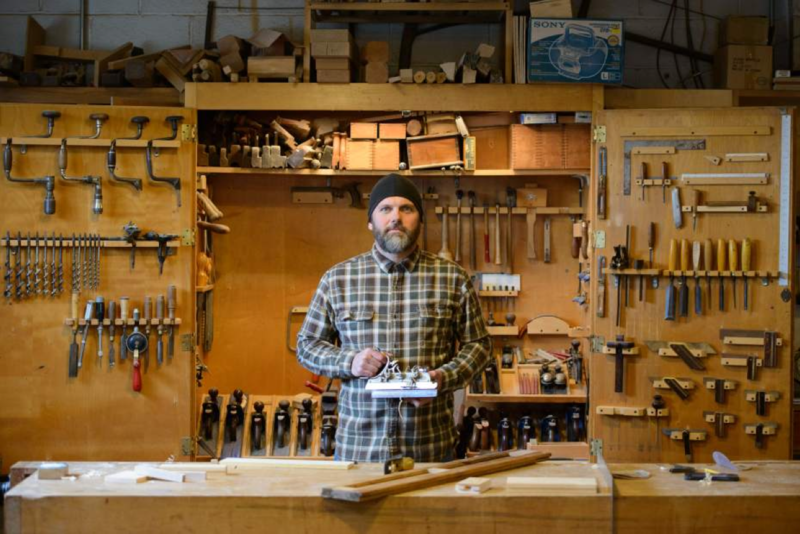 He also has a full modern woodshop which he uses to make all sorts of furniture, furnishings and toys. He uses his shop as an 18th century cabinet maker would have used an apprentice. The modern equipment does all the thicknessing and dimensioning of the lumber. Then it goes to the bench to be hand planed and joined together by him. He was born and raised in southwestern Pennsylvania in the small town of Latrobe. He grew up on a small farm where he worked along side his father and grandfather. They were always building repairing and fixing things around the farm. 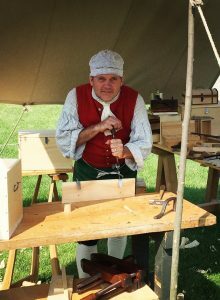 He had a strong interest in woodworking at a young age and knew that he wanted to continue to build and make things as an adult. His dad bought him his first saw when he was twelve years old, which he still uses today. Matt took every woodshop class that was offered in Junior High and High School. Matt attended the Savannah College of Art and Design in the historic City of Savannah GA. While in college he apprenticed in a furniture shop that specialized in high end reproductions and repair of original antiques that are so abundant in Savannah. In this shop Matt was able to refine his skills at the bench, while repairing antiques and bringing to life the master cabinetmakers own designs. In 1991 he graduated from SCAD and received a Bachelor of Arts in Historic Preservation. In the fall of 1991 Matt returned home to Latrobe to open his own woodshop where he now builds Windsor Chairs, 18th century furnishings, and custom built-ins. He also demonstrates 18th century building techniques and chair making at numerous historic sites and craft shows. “I take great pride in producing these reproductions of America’s past.” M. Stein Enjoy the web site and I look forward to building an heirloom piece for you.